Last night my two year old son and I were sitting looking through our photo albums. Which, by the way, are all 4×6 pocket albums. He loves to look at all the family and himself as a baby. Of course, I get all mushy and sentimental. 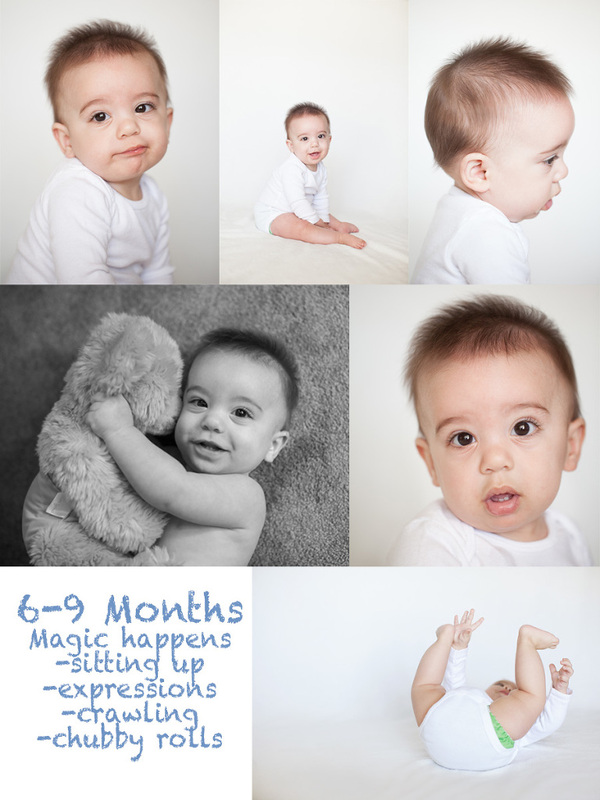 I love his newborn pictures and his first birthday pictures. Most of the sessions I do are those moments, but what’s in between is just as important. My most cherished images are of Ben when he had just learned to sit up. His personality started to show in all of his different expressions. He had nice chubby thighs to squeeze. And don’t even get me started on baby feet! Oh those little piggies! What I want to share with you this morning is the importance of capturing this moment in time. It goes so fast, and it’s easy to pass up. Don’t miss it! Six to nine months babies are sitting up, starting to crawl, giving nice big smiles, big beautiful eyes, and just chubby cuteness! Below are my favorite of my son! It was just a quick session. I wasn’t even thinking about it much. I was mad at myself for the green diaper at first, but now I love it. I was actually setting up for a client, and these were just some tests shots. I treasure them!